In my article Open Season on US Coastal Sharks, I asked readers to write to each and every member of the Florida Fish & Wildlife Conservation (FWC) Commission. The goal was to get the FWC to intervene in any capacity they can, most notably for the lemon shark population as the timing for their seasonal aggregation period off the coast of Jupiter, Florida coincides with the opening date of the commercial fishing season. Left alone could potentially have devastating results on their numbers. Soon after that article was posted, I was copied on a letter sent to Margo Schulze-Haugen, Chief of National Marine Fisheries Service (NMFS) Highly Migratory Species (HMS) Management Division, written by FWC’s Division of Marine Fisheries Management Director, Jessica McCawley. Jessica is well versed on the lemon shark research completed by Dr. Samuel Gruber, Dr. Steve Kessel and Dr. Demian Chapman; she has also worked with us on a few projects including getting lemon sharks fully protected in state waters back in 2010. The timing of this letter to NOAA’s HMS division of National Marine Fisheries Division could not have been more fortunate. For awhile we had been working the issue from one side, other groups in Palm Beach County (where I live) went to work expressing their own concerns and displeasure with NOAA in the form of public petitions. Two with similar titles: STOP COMMERCIAL SHARK FISHING IN FLORIDA FOR JAN 2016! and NOAA: STOP Commercial Shark Fishing Set For January 1, 2016! - directly targeted HMS Fisheries Management Specialist for the Atlantic, Guy Dubeck, collectively received more than 29,990 signatures. Others took a harsher tone, campaigning on social media and tagging NOAA with a new acronym – “No Oceans Alive Anywhere” - as their new coat of arms. While it is arguable such tactics are truly effective in rendering actual changes in laws or regulations, HMS was undoubtedly getting some heat. Enough in fact for Margo Schulze-Haugen to schedule a public call session on December 11th, with the purpos of explaining the reasoning and process behind the regulation changes. The call session included a short Q&A period, which I took part in; one question raised was the impact this change in dates might have to dive tourism if the sharks are fished out. HMS’s response was “We don’t have anything to do with tourism issues.” This answer seemed incongruous, considering that earlier on in the call session, during HMS’s explanation of their methodology, they stated: “management of the resources is for the purpose of providing the greatest benefit for the public.” Seems a bit of a contradiction, don't you think? Especially now that shark diving activity adds millions of dollars to the dive travel industry! During an earlier conversation I had with Margo Schulze-Haugen (of HMS), she asserted that the decisions of the season opening dates getting moved was based on the “best data available.” A more likely explanation is that since all large coastal species of sharks, including lemons, bulls, tigers and hammerheads are conveniently and most likely incorrectly lumped together as one homogenous group, the real purpose was to simplify the management of the resource. So where is HMS coming from when it comes to formulating decisions for fishery management? The process begins from within NMFS offices and laboratories to construct various management options based on the best available science, along with the management concerns from different sectors. Before putting forth any proposed Amendments, the options reviewed must be first checked to see that they meet the requirements of the Magnuson-Stevens Fishery Conservation and Management Act. From that point, HMS presents their options to the HMS Advisory Panel for comment. A review of the backgrounds of the members of this panel, all unpaid appointees (basically volunteers), reveals that the recreational dive industry has no representation at all. Instead, the HMS’s 48 members include 17 individuals associated with commercial fishing and at least 12 more with recreational fishing interest. The remaining 19 are comprised of 10 state wildlife/fisheries department reps, 5 persons in the fishery research field, and 4 representatives from environmental non-governmental organizations (NGOs) like EDF, Oceana and Shark Advocates International. As advisors their primary job is to evaluate the options based on their respected backgrounds and expertise. While they are at liberty to comment on issues regarding allocation, they have NO vote in the matter. Note: Transcripts from all of these meetings are available online on the NOAA website. Furthermore, this group meets only twice a year at NMFS headquarters, at which time the only thing NMFS covers monetarily are the panel member’s travel and meeting costs. Therefore, it comes back around to Margo Schulze-Haugen and team at HMS to make the final decisions. HMS affirms that the setting of the opening date is based mostly on fairness of allocation among the various fishing sectors. In reality, while the fishermen down south (Florida) will most certainly get a greater advantage, as the winter weather conditions there give them more opportunities to fish, the fishermen further north want the season to open later so that in “all fairness” quotas are not already filled by the time they are able to fish. The reason for that concern is not entirely the seasonable weather conditions; it’s also due to where most of the sharks they are after are going to be – the warmer climes of the Florida coast. 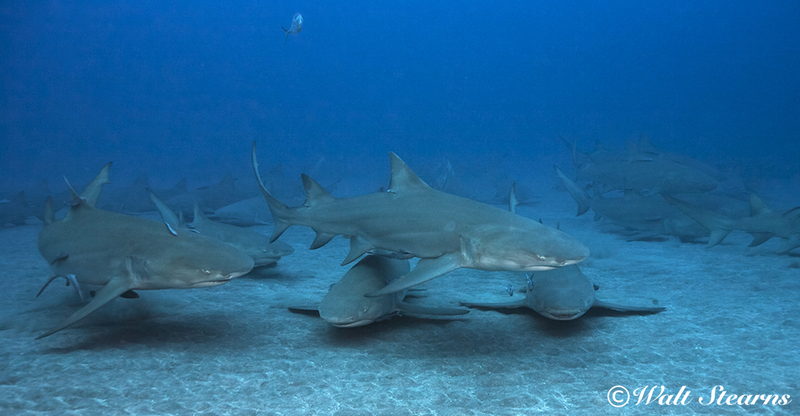 For lemon sharks, this form of planning presents a real problem in areas where this species aggregates most during winter. Of course, this vulnerability issue is not lost on everyone as is evidenced by the concerns expressed in the FWC’s letter to HMS. Others are weighing in as well and so lending some assistance to the situation surrounding Jupiter’s lemon shark aggregations. At the top of the list is Robert E. Hueter, Ph.D., who in addition to being one of only four researchers appointed by NOAA Fisheries for the Highly Migratory Species advisory panel, is also the Associate Vice President for Research, and Directorate of Marine Biology and Conservation at Mote Marine Laboratory in Sarasota, FL as well as Director of Mote’s Center for Shark Research. Reviewing the situation with due diligence as a fellow shark biologist and conservationist, Dr. Hueter is supportive of a plan to get NOAA’s National Marine Fisheries Service to establish a Habitat Area of Particular Concern (HAPC) off South Florida to protect the wintering lemons. If established, this HAPC would lead to limitations on fishing, ideally including a no shark-fishing zone, both commercially and recreationally, during the aggregation season from December through March or April. This could take a year or more to accomplish. While Scott added that this pledge does not preclude a bandit boat (with individual fishing lines rather than longlines) from trying to get some sharks in the area, he did say, and I quote from Dr. Hueter, "If ANY commercial boats try to go into that area (in federal waters off Jupiter this winter) and fish for sharks, we will take care of them." Others that Dr. Hueter has spoken to include a bandit boat captain in Riviera Beach and a commercial shark fishing lobbyist from Daytona Beach. 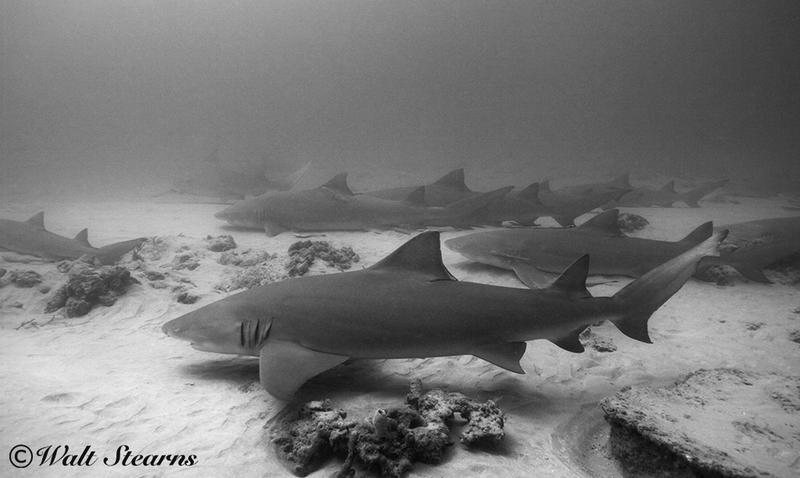 All said unequivocally that there is ZERO interest in commercial shark fishing the Jupiter lemon sharks in the area the aggregation generally takes place for the exact same reasons: limited bottom there to fish longlines, the low value of lemon sharks, not to mention wanting to do without the undesired scrutiny by the dive/environmental community. While this could be seen as a resolution to the immediate threat to the lemon sharks when the season opens on Jan 1, it does not negate the need to lobby NMFS to get special Essential Fish Habitat (EFH) status designated for this aggregation site. Apparently, this is something NMFS has already been looking into. To become an active part of this process requires one to stay closely engaged. For input from a group to be effective, it takes more than signing a petition or sending a few emails. It takes learning the process and getting involved, just as the commercial guys have. Ways to do this include getting on the relevant government list-servers so as to receive timely email notifications and to attend government agency meetings, as I have done numerous times. One thing I can tell you: the wheels of both state and federal fisheries management might move slowly, but this is still the USA and one group cannot, according to our laws and regulations, supersede the interests of another without sufficient public comment. As frustrating and time consuming as it can be, this battle is winnable if we stay focused and involved. And just for the record, take a look at NOAA’s list of prohibited species of sharks to see just how many are currently off-limits to commercial harvesting in US waters. Have a look for yourself and discover NOAA is not entirely the enemy here, but divisions of NOAA bear strong scrutiny in how decisions are made. And just for the record, take a look at NOAA’s list of prohibited species of sharks to see just how many are currently off-limits to commercial harvesting in US waters. Have a look for yourself and discover NOAA is not entirely the enemy here, but divisions of NOAA bear strong scrutiny in how decisions are achieved. 0 Comment(s) to the "Call to Action for South Florida’s Lemon Sharks"